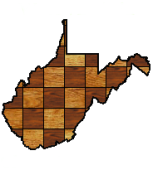 West Virginia Chess Association | The WVCA was founded in 1941 to foster and promote chess activity in the state of West Virginia. 25 scholastic and 4 adult players competed at Simpson Elementary on March 2 in the Harrison County Scholastic Championship event. Jeremy Allman won the Middle School section with 3.5/4. William Northey won the Elementary with a perfect 4/4. Ed Garner won the Open/High School section with 3/3. This entry was posted in Results on March 4, 2019 by wvchess. 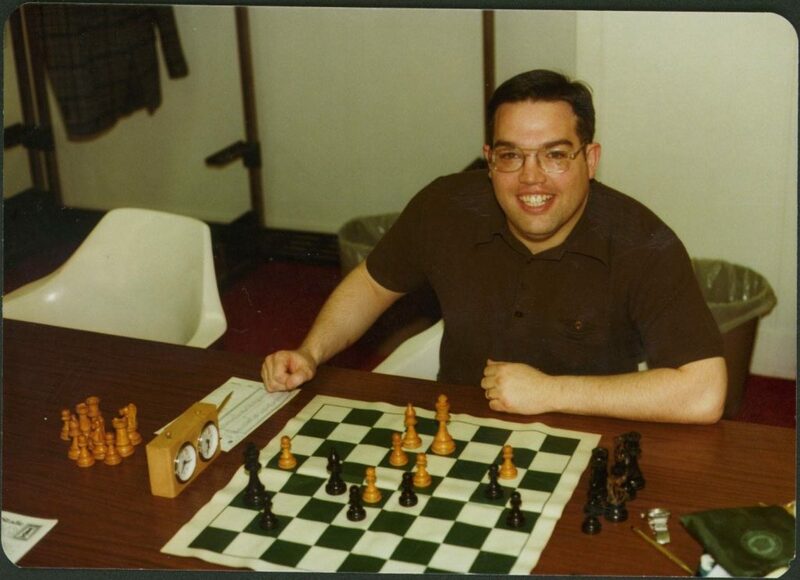 28 players competed in two rated sections at the 13th Bridgeport Library Tournament. Ben Good and Sam Timmons went 3-0 in the Open to share first place. Stephen Groves took clear first in the beginner section as the the only 3-0. This entry was posted in Results on February 17, 2019 by wvchess. This entry was posted in Grand Prix on January 28, 2019 by wvchess. January 12, at the Mountainlair, WVU Morgantown – Registration starts at 9:05-9:45 am in the Rhododendron Room. There are four rounds with starting times of 10 am, 12:15 pm, 2:30, and 4:45pm. There is $5 entry fee per student unless you bring a donation of a non-perishable food item. This event is sponsored by the WVU Chess Club and is a charity fundraiser for hunger relief. On January 19 and 26th, the WV Scholastic Chess League will play 6 games over two weekends in St Albans, WV at the Saint Francis Elementary School Parish Center. Registration ends at 8:45 and the first round begins about 9, play would be finished by early afternoon as they play 3 games each weekend. The January dates are a team event and trophies will be awarded to the top teams. There are two sections, a K-5 section and 6-12 section. The entry fee for this event is $36 for up to a 3-person team. An additional member can be added for $15 each for up to five on a team. Single entry fee covers both the team event and the February Individual tourney. February 9, WV Chess League Individual Championship in St Albans, WV – At the Saint Francis Elementary School Parish Center. There will be a 9 am first round start and the number of rounds will be decided based on the number of participants in each section. Individual trophies will be awarded. February 16, Bridgeport Library #13 will start at noon and is a three-round tournament for all comers, adult and scholastic, the entry fee is $15.00 and lunch is provided by the Library. Trophies and prize money are available. March 22-23, 50th WV State Scholastic Championship in Charleston – Details to follow. Bob Greer is working on hosting a tournament in Harrison County in late February or early March. See https://www.wvsca.com/events.php for more details on the upcoming scholastic events. This entry was posted in Tournaments on December 19, 2018 by wvchess. A very dedicated group of six chess players braved the elements and the proximity to Christmas to play the 5th WV Senior Open. The First place winner was defending champion Ed Garner. Second Place went to John Roush. Third Place winner was Markle Butcher. The Over 60 and Over 70 class Prize of $100 dollars each was donated by Jim Reszler. The Over 70 award went to Dave Bruner. The over 60 prize went to John Roush. This entry was posted in Results on December 16, 2018 by wvchess. Ed Garner and Sam Timmons shared first at the Concord Southern Open. Crosstable. This entry was posted in Results on November 30, 2018 by wvchess. Jerry Engle of St. Albans has passed away at the age of 61. His obituary can be found here. This entry was posted in News on October 1, 2018 by wvchess. We are sad to announce that Marvin R. Barker, Jr., known as Joe to most of us, has passed away. Joe Barker’s visitation will be Friday, October 5, 2018 at Barlow Bonsall Funeral Home, 1118 Virginia Street East, Charleston at 1 pm. Service to follow at 2 pm.